Home visits? – Yes, home visits are a regular part of our service! 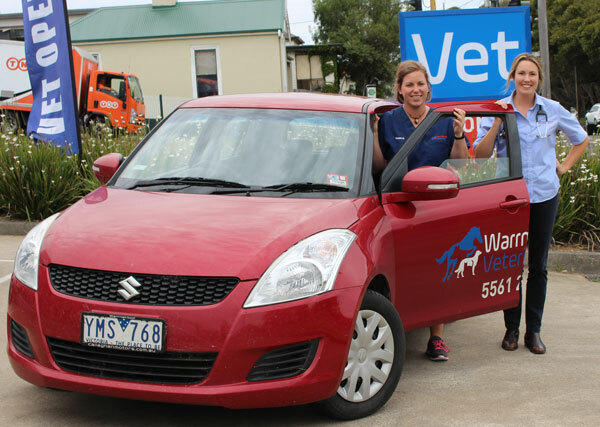 Warrnambool Veterinary is a full service Vet Clinic and Yes we do do Home Visits! We can do home visits on any day but, for staffing reasons, our preference is to book them in on a Friday. Home visits done on Fridays will not incur any extra costs. Home visits are often done for vaccination, or euthanasia and can be done for sick pets but, if possible, sick animals are better seen at the clinic. Our vet can bring your animal back to the clinic if they believe further tests are required. When we do a home visit we will put the details onto your pets health record at the clinic. You can read more about our Home Visit service on our website. If you would like to know more our Practice Manager, Jen Davis, would be happy to have a chat with you. You can contact Jen on 5561 2255.